The current article in our blog will be different. 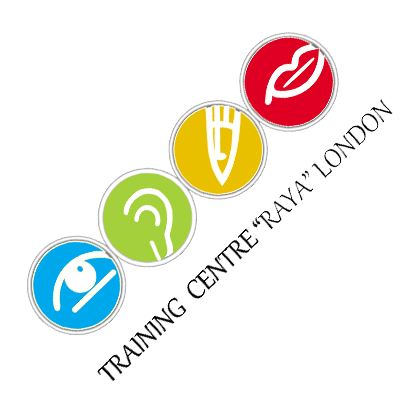 We always try to stick to the English and English grammar topics, but today we will tell you about our Raya London Training Center – who is behind it, how it was created and what its goals are for its future development. Everything starts with a young woman who is looking for her career, her vocation and, at the same time, the work that makes her happy, and also puts some butter on the bread at her table. The woman behind the establishment of the training center is Venelina Stoeva. Perhaps some of you know her and have been her students. A modest, grounded person with English knowledge sufficient to get those who want to work freely with the language, find their dream job, work legally, and get better pay abroad. Venelina started her English language school on 11 February 2011 in Sofia. It is geared to helping those whose knowledge is steeped in time with beginners and advanced learners. About Venelina Stoeva does not matter when you will start learning English. She considers that every age is appropriate, that we can always improve and even get into “strange waters”. For her, human abilities are unlimited. The leading feelings of Venelina Stoeva and later of her husband Georgi Georgiev – who joined her cause – are hope, impatience, ambition and enthusiasm. While she works, she manages to raise her three children, to ask for a different future for herself and her family. Everyone moved to London in September 2015. and very soon – in November of that year – founded the Training Center Raya London. Many students have been through school boards ever since. Venelina is able to explain simply, to guess the questions of the learners, to predict their needs. Her husband, Joro, has engaged in logistics, advertising, and maintenance of the center. They have ambitions for the future. They foresee the expansion of the Raya London Training Center, more teachers and trainees. In time, it is possible that the training centers become two – to go beyond the British capital. And after much more time – who knows, the possibilities are ahead of them. Until then, know that English language training in Raya London Training School provides courses to cover the level for beginners – A1, the initial level – A2,Intensive English language courses adapted to the working people, intensive general English for ages 40+, levels C1 and B2 as well as preparation for the certificate and language course in English. We wish you a lot of success in every endeavor. Our goal is to help you!